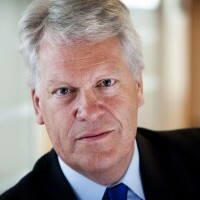 Wim Kuijken will be appointed as the independent Chairman of the Board of The Hague Security Delta Foundation on Jan. 1, 2016. He will succeed Jozias van Aartsen, Mayor of The Hague. This fits the new governance of The Hague Security Delta, and the further establishment of the delta as a national security cluster with three important regions: Brabant, Twente and The Hague. The appointment marks the next phase in the development of The Hague Security Delta. From 1990-1995, Wim Kuijken was municipal secretary of The Hague, and he also was Secretary General of the Ministries of the Interior and Kingdom Relations, General Affairs and Transport, Public Works and Water Management. He has been the Delta Commissioner (three days per week) since 2010, and he is also president of De Nederlandsche Bank. He will take on the position as Chairman of The Hague Security Delta part-time in addition to his other responsibilities. The Hague Security Delta Foundation was established in 2013 and has the task to stimulate cooperation between businesses, governments and knowledge institutions in the security domain so that knowledge is shared and mutual innovations are developed with an eye to the future. The goal is to increase (digital) security, strengthen the international competitiveness of the Netherlands and create more jobs. The foundation is established at the HSD Campus, the national innovation center for security in The Hague.